At Ridge Ranch, we appreciate our involved parents and community members. 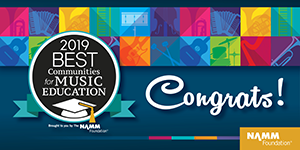 We also enjoy broadcasting our latest news and information here on our News page, where we will chronicle school activities and student achievements and publish announcements. We’ll also offer helpful resources and information. So check back often; we’ll update it regularly. 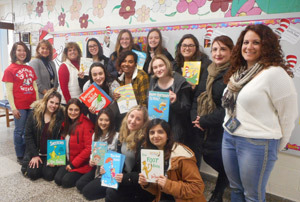 The Paramus High School students recently spent the morning at Ridge Ranch for Read Across America week! 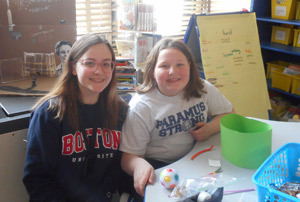 The high school students worked with students from kindergarten through fourth grade. They shared a Dr. Seuss book and created an activity to go along with the lesson. Everyone had a terrific time! Phil Bildner was recently at Ridge Ranch as their Author of the Year! 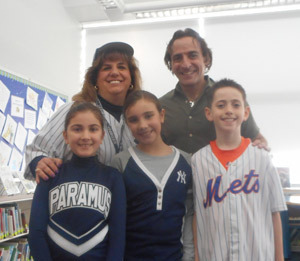 Students had the opportunity to spend the day with Mr. Bildner, who has written several children’s picture books about sports stars and historical events, as well as young adult fiction. Each of the grades spent time at a workshop with him, learning how to create a book, how to come up with ideas for a book, and learning how to edit their writing pieces. All of the students had a great time with him! You can check out Mr. Bildner’s website to learn more about him. Students in Mrs. Debra Hodge’s first and second grade classes celebrated Dr. Seuss’ birthday and Read Across America by participating in a Dr. Seuss Read-A-Thon. 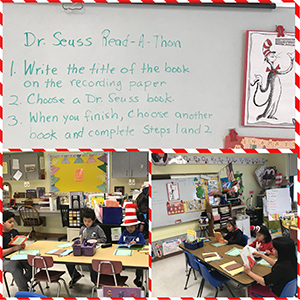 The students read a variety of Dr. Seuss' books, recorded them on their Read-A-Thon charts, and then wrote a reflection about which book they liked the best. Happy reading! 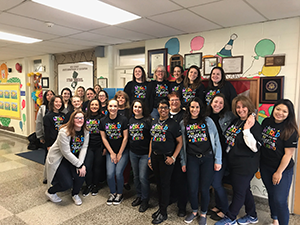 The staff at Ridge Ranch School wore special shirts for autism awareness month. The shirts said, "In a world where you can be anything be kind." Our wonderful Paramus teachers embody this message daily!